Afghanistan/Wisconsin is a collection of stories from service members and their spouses. These stories come directly from their lips and are reborn on our stage. We can only imagine what it is like to serve in the longest was in American history, but these stories are from those who lived it. 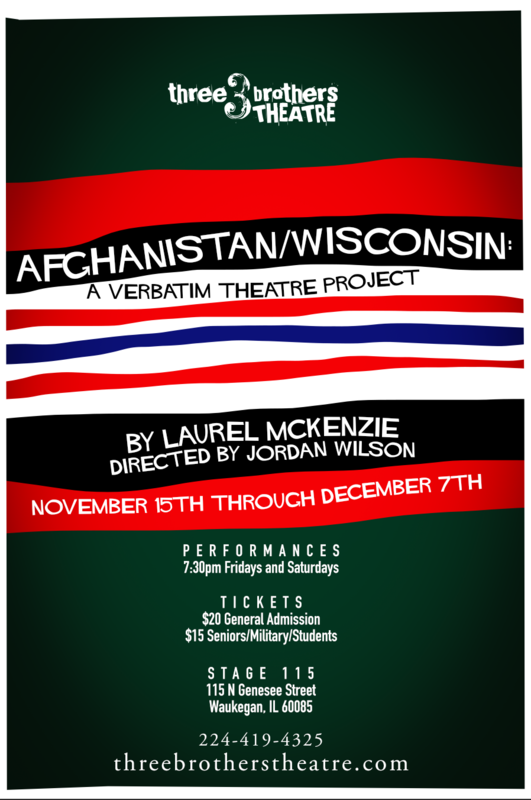 Afghanistan/Wisconsin was originally developed and produced with the support of the Carthage College Theatre Program and Carthage Summer Undergraduate Research Grant program. Laurel McKenzie graduated from Carthage College in 2016 with a degree in history and theatre. Her previous work includes “Lint,” featured in Carthage’s literary magazine Centrique, and The Passive Voice on the Carthage studio stage. Since graduating, she has moved to the southwest to continue her (mostly) daytime career as a National Park Service ranger. She fills her free time volunteering at the local theater and crawling through caves. You can contact her at laurel.c.mckenzie@gmail.com. Jordan is excited to make her Three Brothers directing debut with Afghanistan/Wisconsin. Jordan was last seen on stage as Joby in Anton in Show Business. When she is not on stage Jordan can be found working as the Co-Box Office Manager or backstage designing, running tech or filling where needed. Jordan would like to thank Josh, Caroline, and Rick for welcoming her 2 years ago to the theater, her family, friends, and boyfriend Troy for their support along this crazy journey.